Christmas is one of the best times of year to lend a helping hand to those in need. In keeping with the spirit of the season, and on behalf of Point Hope, I'm thrilled to partner with Balsam Hill, a company that is not only the leading provider of premium realistic artificial trees, but also one that places high value on giving back to the community. 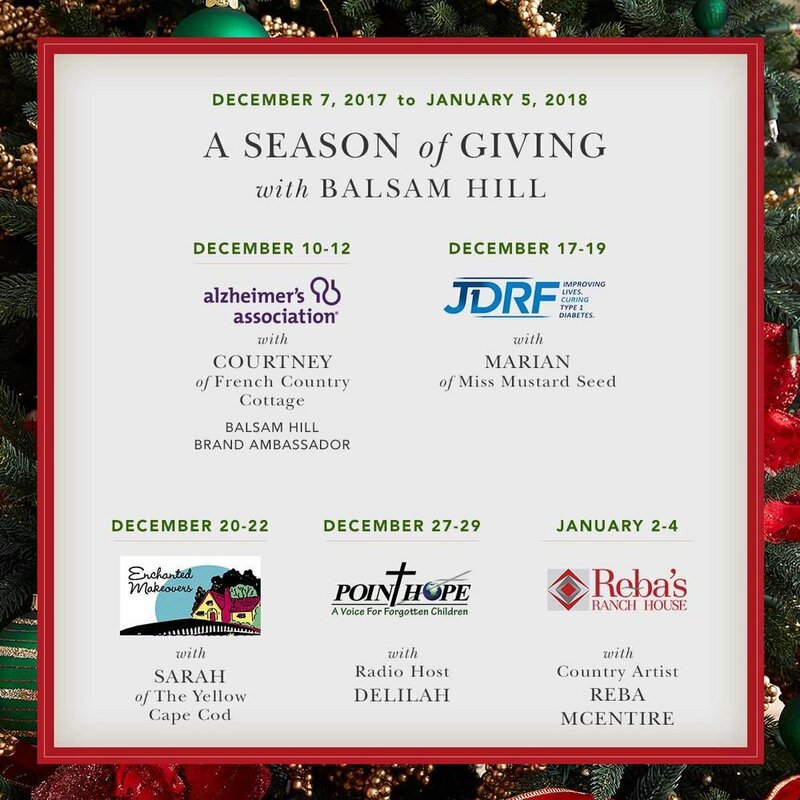 This December 7 through January 8, Balsam Hill will be launching its annual “A Season of Giving” philanthropic campaign. For each engagement on campaign-related posts social media, they will be matching with a donation for five participating charitable organizations while encouraging others to help spread awareness about each worthy cause. The participating charities include; the Alzheimer’s Association of Greater Idaho, JDRF of Minnesota, Enchanted Makeovers, Point Hope, and Reba’s Ranch House, with each to be featured on the Balsam Hill Facebook page, blog, and Philanthropy page. Every share, comment, or Facebook reaction is equivalent to a dollar amount, and Balsam Hill will tally all the engagements and donate corresponding funds to each organization. This is not the first giving campaign where Balsam Hill has made Point Hope a benefactor of their philanthropic work. I can't express my gratitude to Balsam Hill, and all the really beautiful and giving people within the organization for inviting us to participate in their "A Season of Giving" campaign. Please help spread the word and join us in supporting Point Hope and their mission to be a voice for forgotten children. Visit the Point Hope page, and Balsam Hill's blog and Facebook page to learn more!